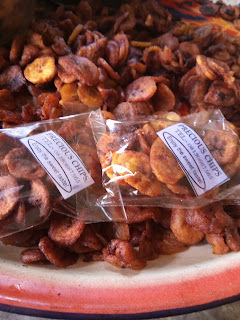 Plantain chips business is a very profitable one as it requires small amount of capital to set up, you do not also need a shop or office before you can start, you can start right From your house and it doesn't stop you from doing your montly salary job .Almost every body loves plantain which makes it a very good business. You need a label that carries your business name, nylon, sealing machine to start. You can start distributing to schools, kiosk, super market as well as the local market. 1. Slice your plantain in a clean bowl, you can use knife or vegetable slicer depending on your choice. 2.Add salt, sugar and your preservatives to it. 3.place your groundnut oil on fire to make it hot . 8.package inside your nylon and put in your label, and use sealing machine to seal the mouth of the nylon.